Utilise Spot Wholesale + Cap delivers electricity at prices straight from the wholesale market using innovative smart meter technology, powerful pricing software and fixed retail costs. Additional insurance means that your average monthly price will never exceed a pre-agreed cap. This graph shows New Zealand’s average monthly spot prices for the last five years. While these prices have decreased, there have been a few periods of high pricing.  The graph shows how a cap would limit the average monthly price paid, while also enabling the benefit of lower spot prices at other times. Past savings are not a predictor of future savings and prices may rise according to the spot market. The cost of insurance which is your metered volume multiplied by the cap premium [this price is related to your cap price].